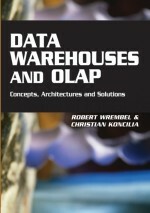 This chapter describes a graph-based approach to represent information stored in a data warehouse, by means of a temporal semistructured data model. We consider issues related to the representation of semistructured data warehouses, and discuss the set of constraints needed to manage in a correct way the warehouse time, i.e. the time dimension considered storing data in the data warehouse itself. We use a temporal semistructured data model because a data warehouse can contain data coming from different and heterogeneous data sources. This means that data stored in a data warehouse are semistructured in nature, i.e. in different documents the same information can be represented in different ways, and moreover, the document schemata can be available or not. Moreover, information stored into a data warehouse is often time varying, thus as for semistructured data, also in the data warehouse context, it could be useful to consider time.